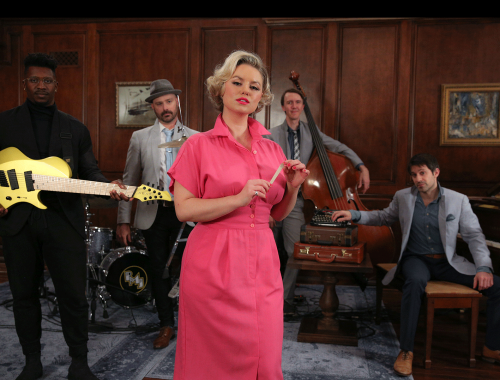 Remember Gunhild Carling – the Swedish instrumental virtuoso that rickrolled us on trumpet, trombone, recorder, and bagpipes in her PMJ debut? 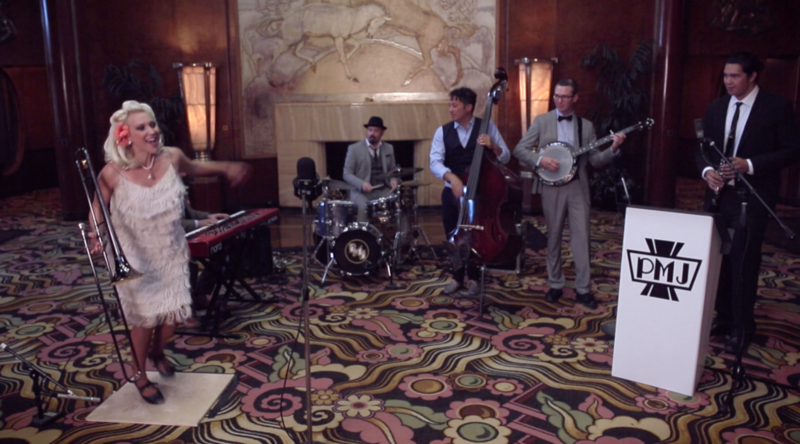 She’s back with us for another incredible, high energy performance, filmed on the historic Queen Mary. 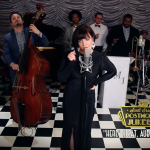 Watch our 1920s hot jazz flapper – style remake of the Madonna classic, “Material Girl,” and marvel at her talents: Click here to download the song on iTunes. 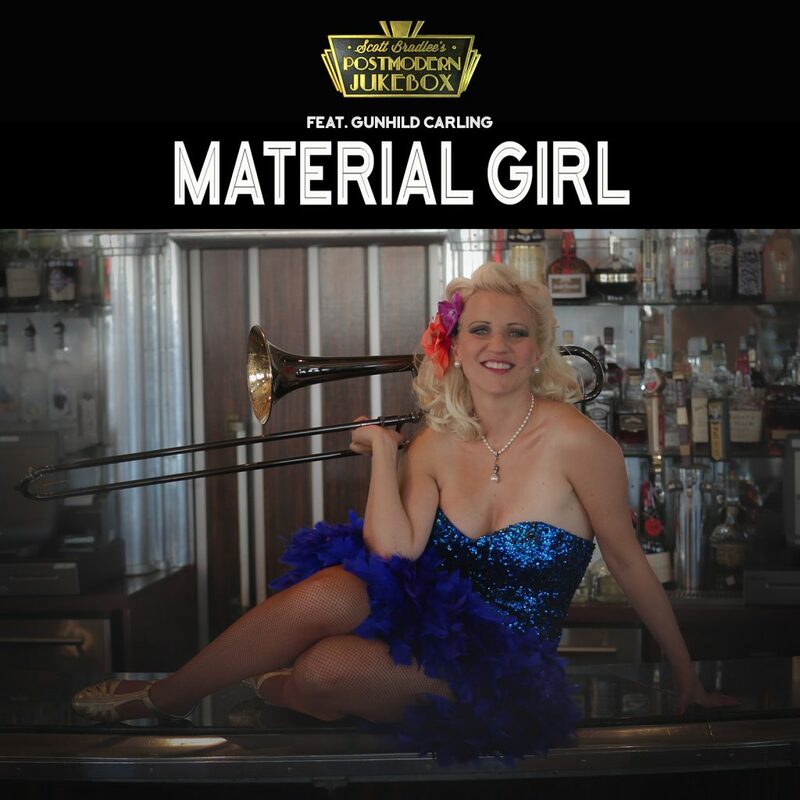 Gunhild’s impressive trombone chops may have already been known to those that have seen her in “Never Gonna Give You Up,” but the fact that she also tap dances in between solos makes this performance particularly impressive. 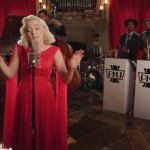 I arranged this cover – by that way, who knew that “Material Girl” adapts to 1920s hot jazz so easily?? – as a high energy, uptempo showcase for her, and she met the challenge head on. Once the cameras were rolling, she recorded three perfect takes of the song and then went to sleep in the corner of the set – can’t blame her for that! Go here to congratulate Gunhild on another great performance! Thanks to The Queen Mary for taking good care of us once again. Our North American tour is off to an amazing start! 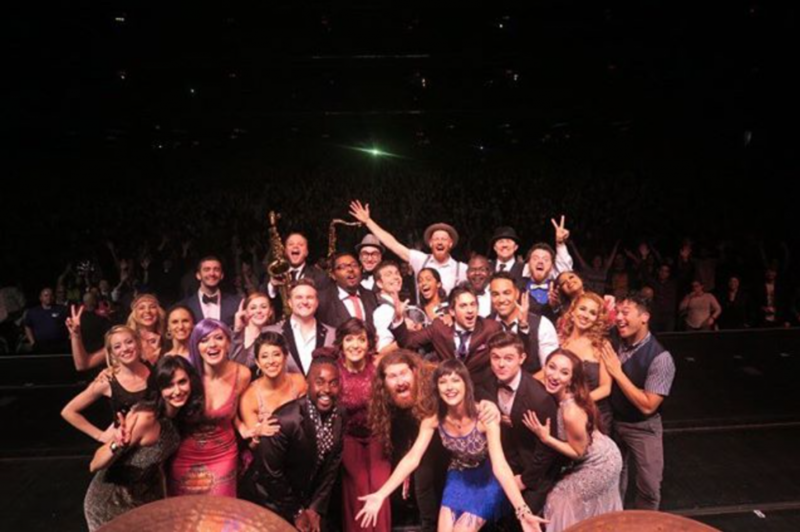 This past Friday, Postmodern Jukebox headlined Radio City Music Hall in our biggest show yet (both audience wise and cast wise). It was a surreal experience for me stepping out in front of the crowd midway through the show, particularly after visiting my old neighborhood and the apartment that birthed PMJ earlier that day. It’s been an incredible journey, and I’m fortunate to have been given the opportunity to work with so many talented performers over these last 5 years. This show was a celebration of how far we’ve come, and how much is possible. Get tix to the rest of our tour cities here. Happy #PMJday! –Scott P.s. 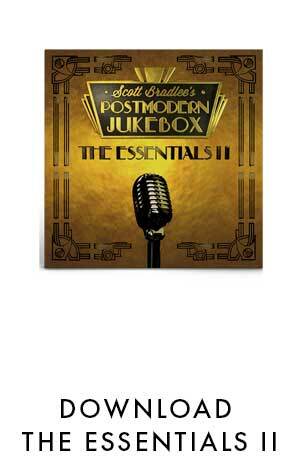 Our new greatest hits album, “The Essentials,” is available on CD / Vinyl / Download here. New Video! “Last Christmas,” Vintage Andrew Sisters-Style. Happy Holidays! Juliette Goglia Makes Your Dreams Come True In Her Solo Debut! Check out Therese’s #PMJSEARCH2018 video below!